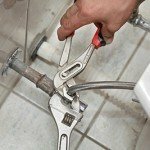 The plumbing experts at Atlas Home Services are ready to help. We’ll diagnose your problem and make sound recommendations for repair or replacement. 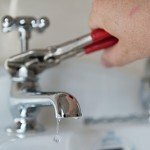 There are some things you count on in life, including a quiet, strong stream of water when you turn a faucet on, and no water at all when you turn it off. Any deviation can temporarily affect your world view, not to mention your water bill! 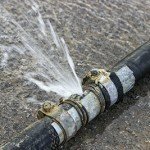 Water leaks can be a nuisance, or they can be catastrophic. Their cause can be obvious, or deeply buried. 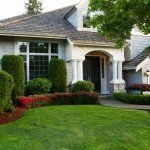 Either way, leaks can cost you hundreds of dollars—or more—in wasted water and damage to your property. 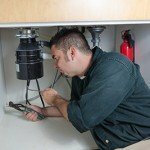 Garbage disposals are one of the kitchen’s greatest tools, reducing copious amounts of food waste to a consistency that easily flows down your drain and out of your life. Nothing screams household EMERGENCY!! like a burst water pipe. It is your worst nightmare, instantly and profoundly damaging your greatest asset—and depleting your savings account. A sump pump is one of the invisible heroes of a healthy building, not to mention the health of the people who occupy that building. 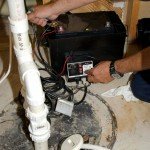 Your sump pump moves unwanted water to a place where it cannot contribute to mold and structural problems in your home. We all like to think our households’ sewer lines will work forever, but time, tree roots, gunk and Mother Nature can spell trouble for this essential residential artery. 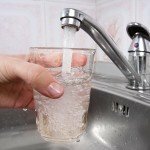 Abundant streams of water in our homes and workplaces are one of life’s joys—unless they are coming from somewhere unexpected. If that happens, your water main (aka water line) may be broken.